Dan is currently studying at the Polytechnic University of the Philippines ( PUP-Mabini Campus) taking up Bachelor in Broadcast Communication. Along with his passion for Voice Acting, at the age of 18, Dan manages an organization called Student Voice Artists’ Society ( SVAS ) were he serves as the student founder and the president. His organization aims to promote voice acting as an art in various Universities and colleges in the Philippines together with the visions of his mentor Mr. Pocholo Gonzales a.k.a Voice Master . 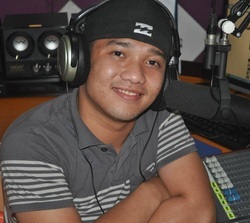 Kimmy is a basic Spanish tutor and a freelance Voice Over Artist who also has a segment for VOTY Radio’s Techie Angels. During her spare time she likes to matter load on articles related to business, hospitality, fashion, and health. She aspires to be fluent in Mandarin and Spanish. 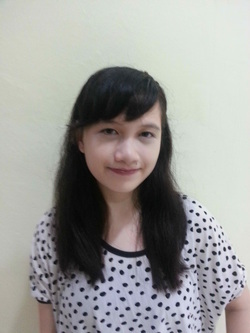 Jerica is the Vice President of Students Voice Artists' Society and also a VoiceWorx 24 graduate. She is a small lady with big dreams; a singer-dancer-actress-DJ-VJ-Host-writer-broadcaster-motivational speaker-wanna be. She loves to read, to blog and to try new things. Mina is a superwoman from Antipolo City. She is an English teacher, a school paper adviser, a tutor, and a writer of AVP scripts and web articles. She listens to music, watches the television, sings, and even blogs. She writes her own stuff like poems, essays, and short stories, too. And most of all, she has a rocking social life. Know more about her and read her works on http://minaseestheworld.wordpress.com. 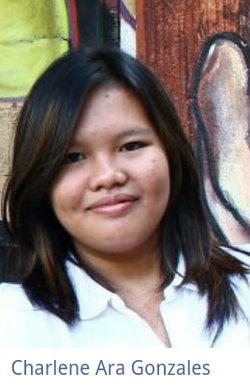 Jonallanne is a Broadcast Communication student from PUP Manila. She is a singer , writer, and photographer. She loves to discover and maximize her fullest potential. Because she believes that she has so much to offer to the world, she holds on to her passion and reach for her dreams. She also motivates people to believe that every person can create something beautiful and inspirational. She pursues to become a voice artist and an advocate for children someday because she has a big heart when it comes to women and children empowerment. Joyce loves to write songs and read a lot of books. She wants to learn how to play an acoustic guitar and inspire youth by being a facilitator in church activities. Joining interactive and fruitful activities for the youth is one of her passion, too. 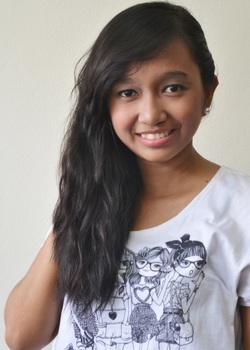 She is a simple, optimistic, and Christ-centered person who is definitely addicted to coffee, milo, songs and movies. Jake is a Broadcast Communication student from PUP Manila. He loves to express himself through social networking and tell stories through his blog. Music is probably a part of his daily routine. 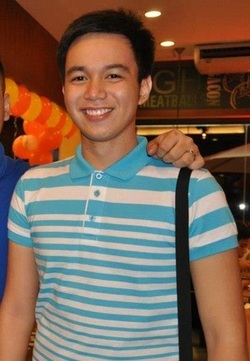 He's an animal lover, daydreamer, street food junkie, and a proud 'Promdi'. 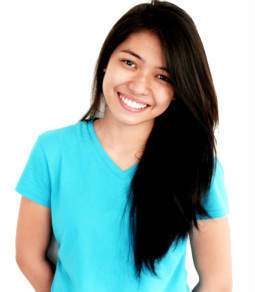 Diana is a student from Polytechnic University of the Philippines, taking up Bachelor in Broadcast Communication. She is a follower and a leader. She dreams to be a future broadcaster. Audrey is the Executive Director of Voice of the Youth Network. She is into innovation and environmentalism. She loves long naps on the beach, preferably on a hammock. Her dream is to travel all the provinces of the country. Adrian is a friendly person with a positive outlook in life. He dreams to travel the world someday to meet new faces and experience different cultures. 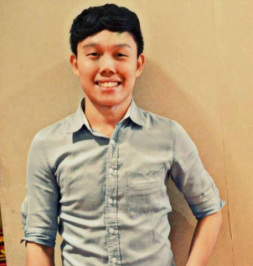 He has passion for public speaking and he would love to inspire people someday, too. He loves to sing and to read books of various genres. He is also a lover of films, most especially those that depict romance and friendship. He is also sentimental and appreciative. 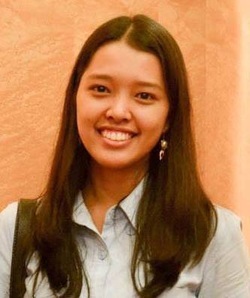 Rosario is a Broadcast Communication student from the Polytechnic University of the Philippines. She is a young lady who loves to wander under the sun. As a Speech Major, James is studying oral interpretation, communicology, and radio speech. He has high hopes in the booming of speech performances in the country, especially audio book production. His spare time consists of family, friends, some writing, frisbee and food trips, with occasional karaoke in between. Myca is an epitome of "looks can be deceiving" as she has a voice that only matches her eccentricity and child-at-heart attitude. Her interest vary from film and animation, fashion, and more. She hopes to prove that her small voice can make a big impact. 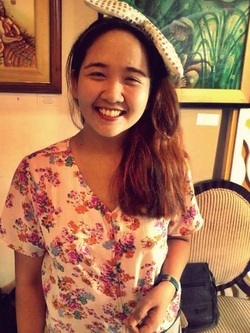 Reicelene is a Journalism student from University of Santo Tomas. She may be a shy-type person but is also friendly. She believes in the power of media, and hopes to spread the word of God through it. Eyah is a third year student of Polytechnic University of the Philippines, taking up Bachelor in Broadcast Communication. She is a table tennis player of PUP and also the Vice President of Lancer Youth Movement. She loves to sing, eat and talk. She dreams to be a dj after graduating and court side reporter, too. 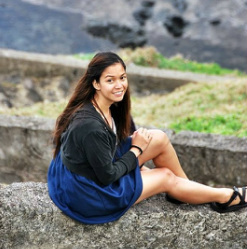 Frances is a student from Polytechnic University of the Philippines studying Broadcast Communication. She is straightforward, genuine, and a wanderer by heart. She dreams of becoming a soldier, a teacher and a talk-show host. If she doesn't become any of these, just imagine her in your dreams.